A Mile-High recipe with a one-of-a-kind gourmet flavor. 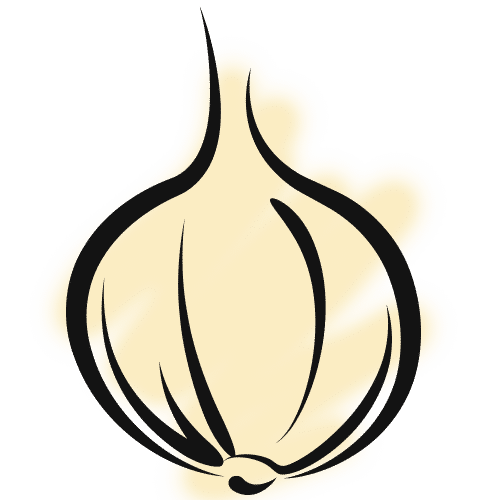 We craft our salsas in small batches using authentic ingredients, naturally … and an almost embarrassing amount of attention to the little things! 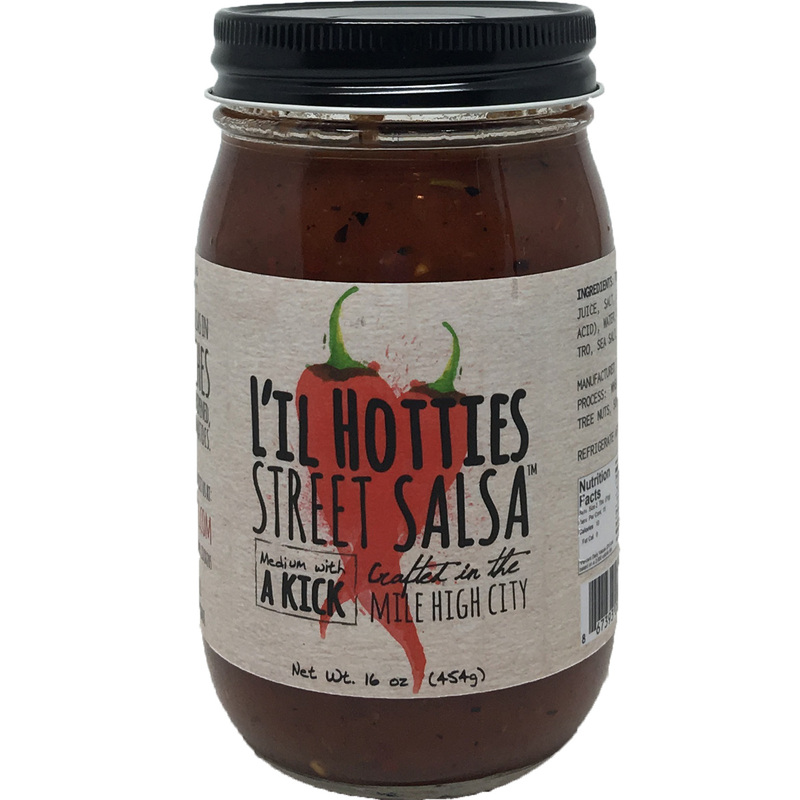 Of course, we’re a little partial, but we really do believe we’ve “captured lightning in a bottle” with our Street Salsa™. This unique recipe was kept within the family for generations — and now we’ve perfected a way to share it with the rest of our neighbors! We’ve dubbed our flagship salsa “Medium with A KICK” — which is our way of describing its sassy, spicy and — we must admit, addictive — flavor. 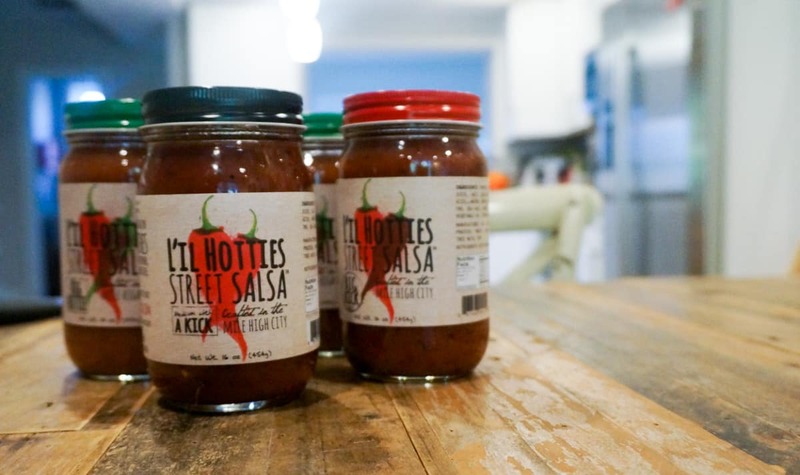 Made with real passion, we believe it will win you over, one deceptively cool jar at a time. Find some at a super-cool grocer near you — and be on the lookout for our two newest flavors coming your way: Original with Extra KICK and Hot Green Pepper Salsa! A robust salsa with just enough heat to entice, Medium With a Kick is made in our signature style using red ripe tomatoes, red chili, cilantro, onion, and garlic. This is our go-to for everything from huevos rancheros to game time chips and salsa. Green chilies makes this salsa one hot mama! 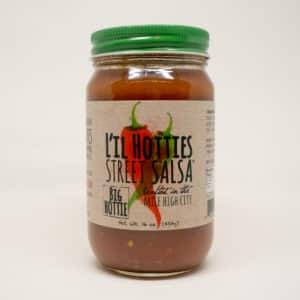 Big Hottie street-style salsa has got the most heat, but it doesn’t hide the flavor. 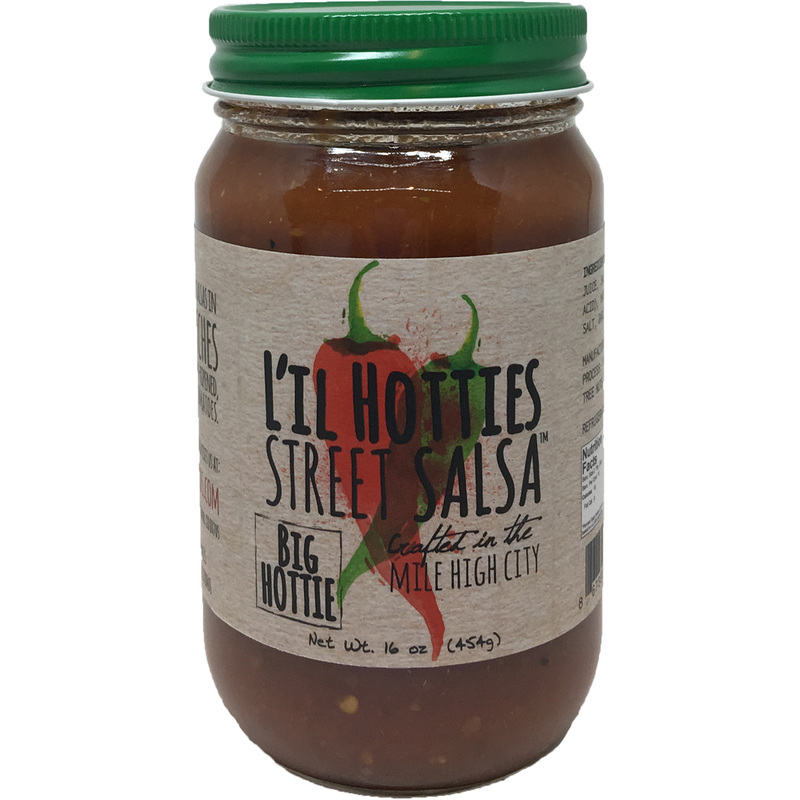 Made in the street-style tradition, Big Hottie is for the heat lover in you! 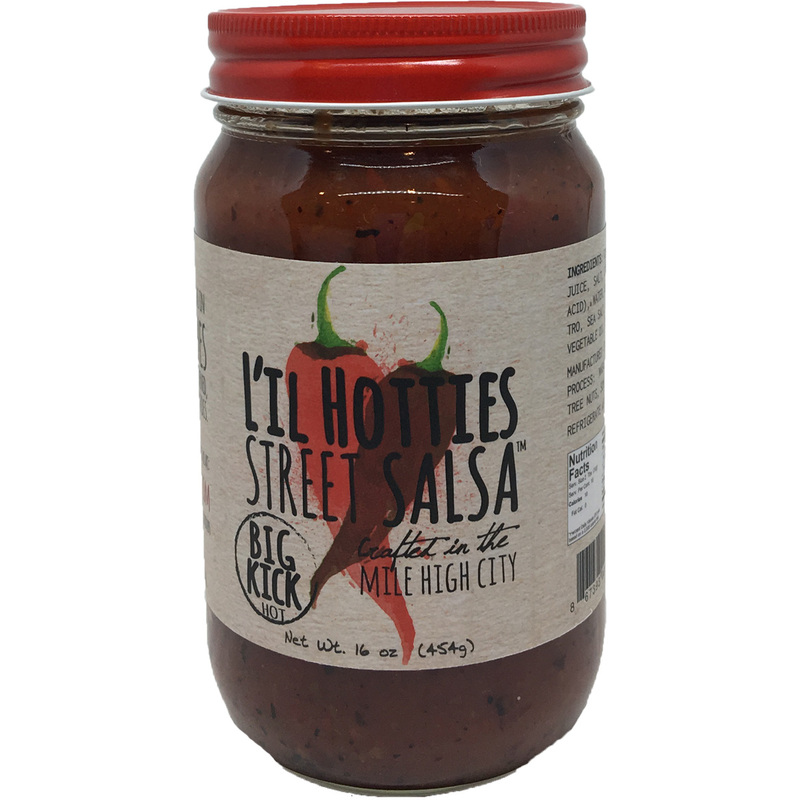 Big Kick street-style salsa has the same red ripe tomatoes, cilantro, onion and garlic as Medium With a Kick but takes the heat up a notch with more red chili. 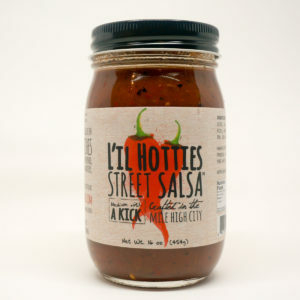 Take your salsa to the next level with Big Kick! 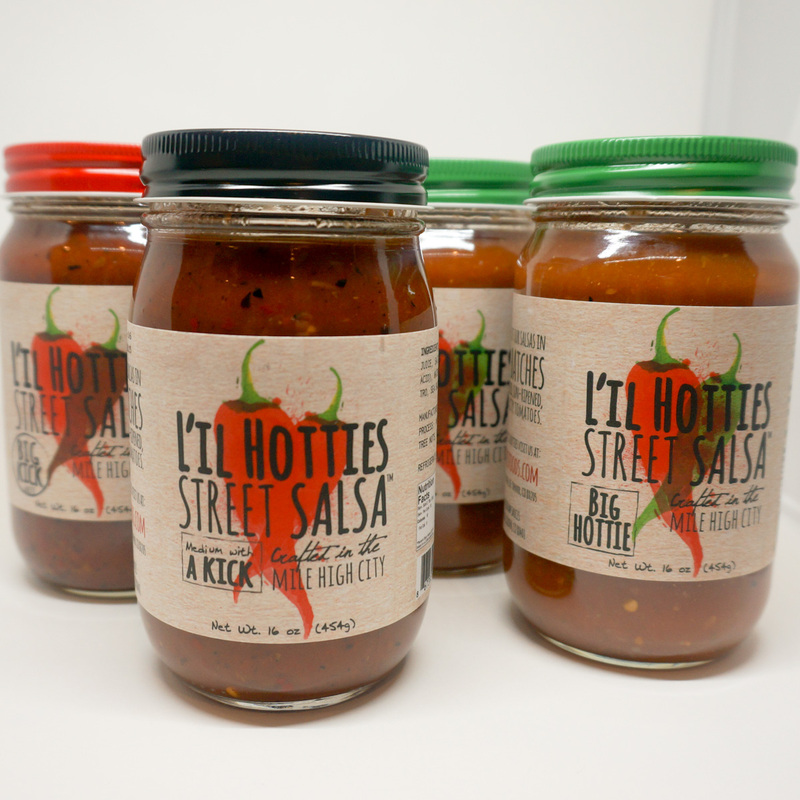 Made with our secret batch-made recipe, our Colorado street style salsas are delicious. Our four pack is designed for gifting. Mix and match your salsa flavors to make the ideal box for the salsa lover in your life – including you! Want to know what goes into our salsas? Perhaps you’re a Colorado retailer looking to carry the state’s best salsa? Or maybe you have another question? We’re all ears! Just fire off your query using the form below … and we will get back with you as soon as possible! 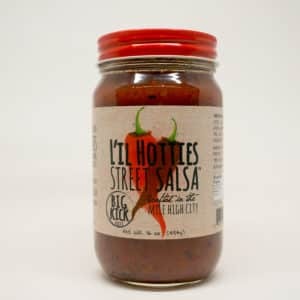 A great gift for that salsa lover in your life or a great way to ensure you don't run out of L'il Hotties Salsa™! Subscribe for our quarterly delivery of your favorite flavor. No duck lips, but maybe a few Salsa Selfies from the L'il Hotties™!